Aim: To investigate secreted protein acidic and rich in cystein (SPARC) and neural cadherin (NCAD), which are associated with epithelial–mesenchymal transition in primary skin melanoma and nodal metastases and their prognostic impact in melanoma patients. Methods: Expression of proteins was assessed by immunochemistry in archival paraffin samples from 103 primary melanoma tumors and 16 nodal metastases. 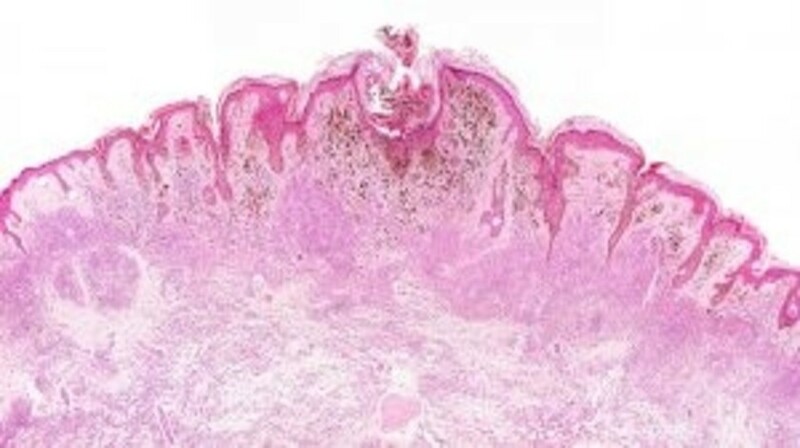 Results: Increased expression of SPARC and NCAD in primary skin melanoma was associated with decreased overall survival, adverse clinicopathological features and particularly with microsatellitosis (SPARC) and ulceration (NCAD). In univariate Cox regression analysis, both biomarkers were significantly associated with the risk of death; the multivariate Cox regression analysis identified no significance. Conclusion: The most important result of our study was that we confirmed the strict correlation between SPARC and NCAD expression and clinicopathological parameters related with melanoma progression, which is a specific clinical equivalent of the molecular mechanisms of epithelial–mesenchymal transition process and confirms its key role in the disease outcome.